Staci McCarthy is a well-respected trial attorney based in Hood River, Oregon. Her primary practices areas include family law, civil litigation, debt collection and landlord-tenant law. Born and raised in rural Scappoose, Oregon, she knows the value of hard work and persistence, which carries into everything she does. Staci’s clients know they can count on her to be responsive and aggressive while advocating for their best interests. She is licensed in Oregon, Washington and California, and is a Gorge family law attorney as well as a Columbia Gorge business attorney. In addition to running her own law practice, Staci and her husband, Adam McCarthy, operate apple and pear orchards in the upper Hood River Valley. Staci McCarthy brings a deep knowledge and wealth of experience in all areas of family law, including divorce, child custody and spousal support. She has represented clients in a majority of Oregon Circuit Courts and in the largest Superior Courts in Washington and California. This experience in the Washington, California and Oregon legal system has helped Staci McCarthy develop a track record of getting positive results, fast. Staci believes that every client deserves positive outcomes and every family is worth fighting for. Staci McCarthy graduated from Oregon State University in 2004 and Willamette University College of Law in 2007. She began her career as a staff attorney with Legal Aid Services of Oregon in Klamath Falls. During that time, she primarily represented clients in divorce, custody, child support, restraining order and landlord tenant matters. In 2008 she moved to Medford and began working for the largest AV-rated law firm in Southern Oregon. 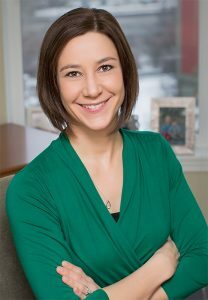 While living in Medford, Staci continued to focus her practice on family law and civil litigation. In 2013 Staci relocated to Hood River, Oregon and began practicing at a law firm in The Dalles. She represented Oregon and Washington clients in family law, debt collection and civil litigation matters. In 2016, Staci established her own Hood River legal practice, McCarthy Law. When Staci is not working, she enjoys spending time with her husband, two young children, and yellow lab, Kubota. She also enjoys boating, reading, cooking, biking and volunteering in the community as a member of the Hood River Rotary and a board member of the United Way Council of the Columbia Gorge.